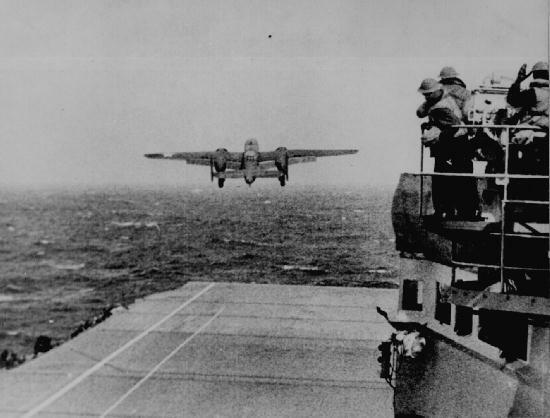 An American B-25 bomber takes off from the aircraft carrier Hornet as part of a squadron, led by James Doolittle, that bombed Tokyo and three other cities. Damage was minimal, but the raid boosted Allied morale following years of unchecked Japanese military advances. 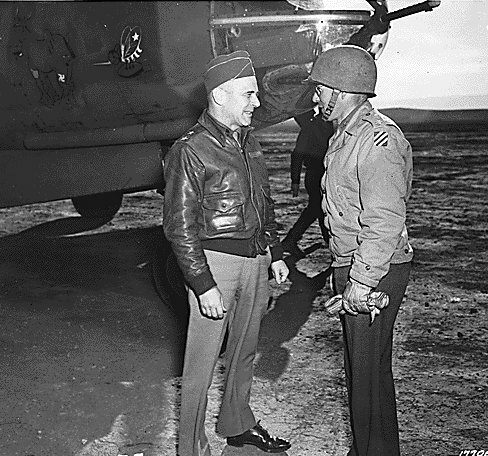 Below: Maj. Gen. James Doolittle (left) chats with Lt. Col. Gladen after arriving at Onjda, North Africa. January 29, 1943.